What does that mean? Its the process for your web site to searchable on a search engine like Google. Google is reference a lot since its the market leader but you also have Bing and Yahoo as the other search engine services. The goal is to get your website URL to be ranked the highest position a Google search results page. Think of real estate. If you are buying for a business or for your home the number 1 consideration is “location, location, location”. The same is true for your website for keyword searches. 80-90% of all business searches happen on a search engine first (either on a desktop or a mobile device). Search is now the new yellow pages – and if you’re not on the first few pages of a search result page, then you are going to miss out on many new business opportunities. What can we do for your SEO? Thats where we come in. We specialize in SEO strategies and getting your website SEO optimized for prime keyword searches and rankings on those searches. All potential customers use a keyword term when they use a search engine. Say a homeowner needs a plumber and they are new to town, they will usually go to their search engine and type “Plumber [town name]” or “plumber near me”. Then you will have your search results. The search results page is interesting. The top 3 items listed are usually ads, or paid links by businesses. We call this CPC listings or “Cost Per Click”. Businesses pay Google a x amount of $ for every time a customer clicks on their paid listing. Its great unless the CPC keyword is very expensive (some keywords like mortgage goes for $60 a click) and you need to keep an monthly budget to keep running your ad links on top of the page. Then you see regular listings. This what we call Organic listings. These businesses that are on the first page of a search result page are there due to proper SEO implementation and SEO strategies they incorporated with SEO professionals like us. Being on top of the Organic searches is what we aim for for our Clients. Once you are on top of Organic searches, you will receive the majority of clicks – naturally! This will increase your business leads and business revenue. And who wouldn’t want that? Are you interested in SEO for your business? If what we’ve talked about sounds interesting and something you would like to explore for your business, then reach out to us. 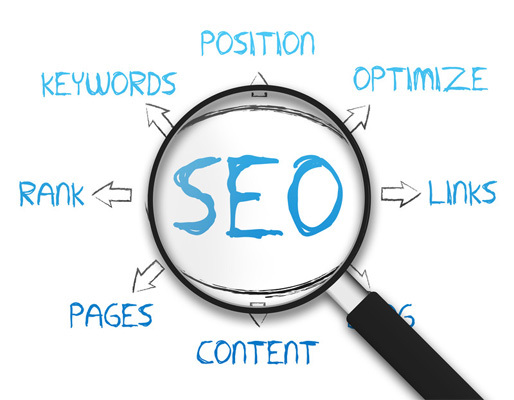 We offer free consultations on how SEO effects your specific business. If you are ready for the next step, click on the button below to start.